The day I found out I was pregnant was also the day I developed a love/hate relationship with Google. I was so excited to see images of plus size baby bumps. 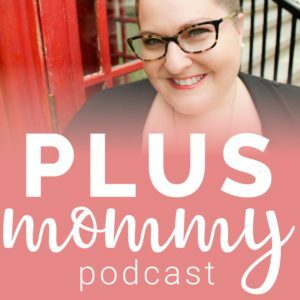 I couldn’t wait to learn about what my plus size pregnancy journey would be like and what my plus size pregnant belly would look like. Sadly, I couldn’t find a lot of plus size baby belly images via Google and most of the plus size pregnancy info was rather terrifying. I never could’ve foreseen that a year later I would make it my personal mission to normalize plus size pregnancy by starting Plus Size Birth. Part of my work with Plus Size Birth is encouraging women to photograph and embrace their bump! “When will I look pregnant?” is one of the most commonly asked questions on the Plus Mommy Facebook page. Women often complain of having a B shaped belly rather than a D shaped belly. An overweight pregnant belly is just as beautiful and just worthy of acceptance as a thin woman’s bump. The truth of the matter is whether your belly is perfectly round or never pops – you are pregnant. You are growing life within you and your body is amazing! 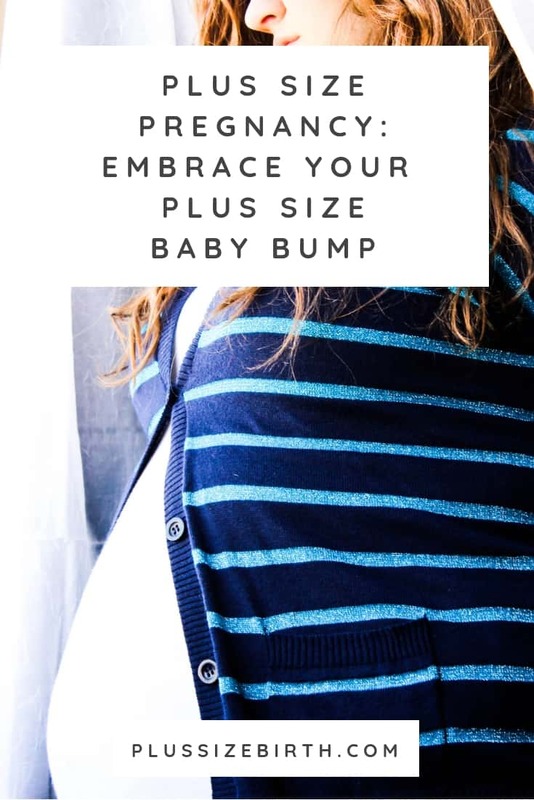 Embrace your bump today! The act of taking maternity photos (from the comfort of your living room or with a professional photographer) is part of embracing your bump and pregnancy. If not only for yourself but also for your children who will want to see these images. Below you’ll see gorgeous plus size pregnancy images and read inspiring stories. “Believe it or not, I don’t really like taking pictures. I always feel like they are from the most unflattering angles or I just don’t look as attractive as I did in my head (lol). When I met Love Daley Photography and fell in love with her work, I just knew she would give me the maternity photo shoot I dreamed of. She assisted with choosing the wardrobe/accessories and explained which items would photograph well. During the photo shoot she seemed genuinely impressed as she previewed pictures between takes. That response coupled with my sisters cheering me on from the sideline and my husband’s reaction to the whole experience, allowed me to feel confident and pretty. These photos represent the love and happiness I felt carrying this child I prayed so long for. Being able to capture that moment was priceless.” – Tracie-Ann 📸 by @lovedaleyphoto I'm so thankful the stunning Tracie-Ann shared her images with us. To see even more breathtaking photos check out the 👉 link within our bio 👈 for the next 24 hours to read a new article, 5 Tips for a Stress-Free Plus Size Maternity Photo Shoot, inspired by Tracie-Ann. Watch the video below with over 200 stunning bumps! These pictures are amazing. You all look so stunning. Seeing your bump pictures just makes me so excited to experience what you have some day. I am so glad I found plus size birth!! I an not Mum yet but I am plus-size and I am so glad I found this site! Everyone in these pictures is beautiful! I noticed that all the commenters are women so I hope it’s okay if I comment too. Each and every one of you look amazing,just so beautiful!!! Thank you so very much for sharing your beauty with all of us!!!!! I cannot even describe how amazing finding this site has been for me. I’ve been plus sized my entire life. I am currently enjoying my third pregnancy. I sadly lost my 4 year old daughter two years ago and also had a still born son in May. I’ve spent these past 12 weeks of this pregnancy trying to be positive but am so scared at the same time. Finding this site this past week has put an entire new perspective for this pregnancy for me. Thank you so much all of u for posting all your beautiful stories and pictures! It has made me see how beautiful my body is again and how to embrace every single second. I am a size 16-18 and 260 pounds also pregnant with my second child. 6weeks and feeling huge so bloated I feel fat other then pregnant. Which is sad because this sould be a happy time but I just feel like something will go wrong so I looked and looked and finally found this site and I am so happy I did. All the story’s have made me excited once again and proud of my body. Oh this makes me so happy! I’m so glad this site has reminded you about how truly amazing and beautiful your body is! I am 16 weeks and started as a size 18-20 i don’t yet feel pregnant, to be honest i don’t know what i thought it would feel like. I have always wanted to have a bump and look like i was having a baby and these pictures are so amazing! I can’t wait to start showing properly and feel like a pregnant woman. We were having issues conceiving and then when i was ill and had to get my gallbladder removed the amazing happened and i got pregnant. Can’t wait for this little one to arrive and i will definately be taking pics once my bump shows it’s such an amazing time to document 🙂 you are all gorgeous ladies and i commend the man who commented. Emma congrats on your pregnancy and I hope you’ll share your photos with us. I am now 22 weeks pregnant and am starting to get a small b-shaped bump, i am so happy because i look more pregnanct and am starting to feel pregnant. I have been very well through my pregnancy getting out walking and trying to eat healthily, expcept for a few treats that are well deserved i am growing a baby after all. Happy pregnancy to all the beautiful ladies on this site! I started at size 16 and I’m currently 13 weeks.. all I can think about is when I will finally start to show. I just feel fat with nothing to show for it except a few ultrasound pictures.. thankfully, I found this site and I am full of hope that I will get my baby bump!! Thank you!! !